Social media has been a tool that has been unknowingly immersed in our everyday interactions from as early as the invention of the early stages of postal services originating in 500 B.C. When we initially hear the words: ‘social media’ our mind willingly travels over towards the everyday usage of the coined term(s): Facebook, Twitter, Instagram, Vine, and more. What we don’t realize though, is social media has been around as early as the telegrams formation in 1792. The telegram, much like Facebook’s instant messaging system or an email, was intended to deliver messages across a further distance within a more prompt time frame. Nearly a hundred years later, the telephone and radio arrived both in 1890 and 1891 respectively – two technologies still in wide usage today: the prior a prominent tool in the modern world’s scale of social media. Some ten years ago, a plethora of middle school and high school aged children raced home to the comforts of their respective homes, discarding knapsacks and setting homework aside to log on to MSN Messenger for another opportunity to talk to their peers and friends alike: to gossip, reconvene, and discuss things that would have otherwise been sheltered from the ears of those who the topic didn’t involve. While MSN Messenger has since become obsolete, a number of replacement communication tools have since formed. New platforms have developed to connect and drive the sharing experience on a community level. While Facebook rekindles lost friendships from childhood, and LinkedIn helps professionals network – Yelp curates business reviewers who engage readers to either spend their money on the companies that beckon potential customers, or advise them to heed warnings. But what is it about these particular people that gives people a sense of trust and respect for their opinions and recommendations? Global trotting and powerful, the Generation C is not purely restricted to one age group: the quadruple ‘C’ threat is described as being content curators who thrive on connections and community – Generation C is the sector of the internet businesses depend on: these group of individuals who can easily make or break a business with their legion of followers who both respect and admire their opinions as much as they appreciation their content creation. And with these trendsetters creating upwards of almost 97% of content creation and curating, its no wonder that businesses depend on them as a means of conducting and supporting their business modules. 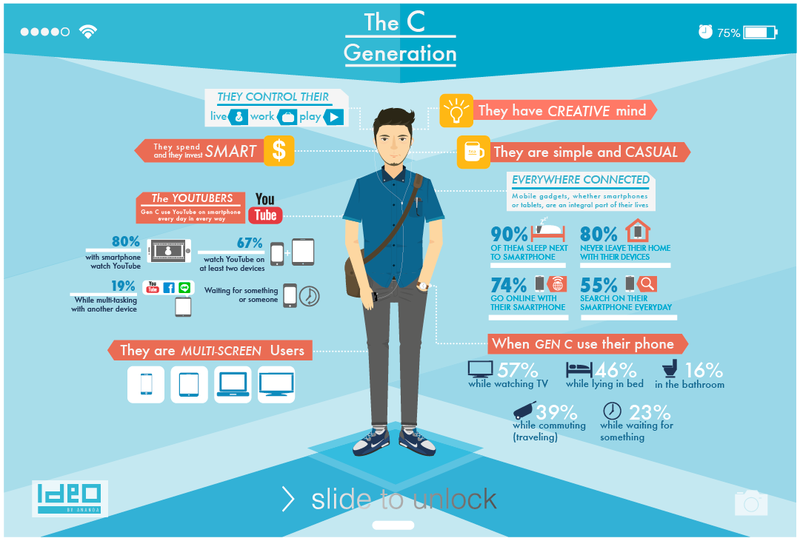 Generation C is a new force of ‘culture and commerce’ by encouraging spending, and influencing sharing. It is said that Gen C has the power to become a businesses best customers. They are outspoken brand backers who can become the biggest spenders and promoters. Their shared experiences triumph all other advertisings mediums through transparency and validity. Their consumer mindset is empowered by technology, and driven by community. The logic is simple. Stay informed and make the right decision on purchasing the right product. 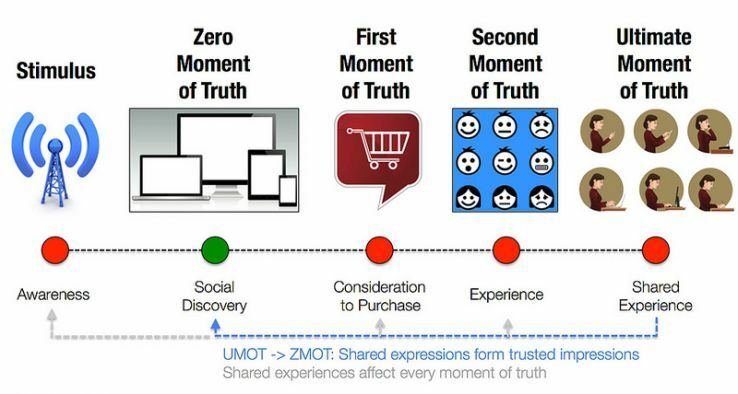 This mindset has introduced the ‘Zero Moment of Truth’, which is a phenomena coined by Google describing how the Internet has changed how we decide what to buy. At a glance, this is good for both consumers and business. Both are rewarded for the mutually positive and nourishing actions. Be an engaging transparent brand with great customer service, and you’ll leave a lasting impression with customers who will promote the brand for you. It’s a never-ending growth cycle, which is great for business. But, this requires the first premise to be true: be an engaging transparent brand; and this may be hardest truth to accept and adopt for longtime existing brands. The current business models of social networks is advertising. Gen C’s are online socialites, and they don’t react positively to normal advertising models. This begs the question that current social media platforms like Facebook may not stand the tests of time. Gen C, although may be brand advocates for great products, they also respect privacy. They want to have a choice when they’re going to sit through an advertisement or not. New social network startups like Ello and Edgee challenge the norm of tracked interests and curated ad serving. And though this sounds like bliss for Gen C, where will the revenue come from? Platforms such as Klout reward brand advocates for product sharing and this model may impact how social networks generate revenue in the future. From the origins of social media, to it’s current standing: social media isn’t going away any time soon. If anything, it continues to grow at a rapid speed, becoming entrenched and depended upon as an every day tool to connect, communication, share and experience from people young and old. The utilization of the tools continues to grow, becoming second nature and innate to the newer generations as they age from toddlers to school aged children to full fledged adults. Social media is depended upon as a versatile tool to not only communicate, but to conduct business: from customer reviews, to linking customers to strong support systems. Social media isn’t going away, its purpose is just changing and growing: linking people together and forming a global social network otherwise unachievable without it’s ever-changing face and adaptations.